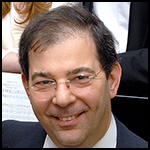 Join us as Don Sebastian gives us insight into his inspiring pilot journey. Don Sebastian’s interest in aviation as with many, started as a young boy building model aeroplanes. Through many twists and turns Don’s Career to date includes being drafted into the Army where his primary job was to actually to jump out of aircraft. What does it take to become a pilot? 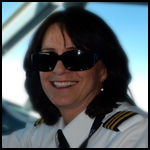 Join us as Patty Wagstaff gives us insight into her inspiring pilot journey. Patty Wagstaff’s achievements, awards and recognition in aviation is literally the stuff legends are made of. A six-time member of the U.S. Aerobatic Team & competing at Olympic level, Patty is a three-time U.S. National Aerobatic Champion and the first woman to EVER achieve this title. What does it take to become a pilot? Join us as Karlene Petitt gives us insight into her inspiring pilot journey. After eight airlines, Karlene Petitt is flying strong on the Airbus A330. She holds 7-type ratings, two masters degrees, and is working on her PhD in Aviation, focused on safety. What does it take to become a pilot? Join us as MayCay Beeler gives us insight into her inspiring pilot journey. 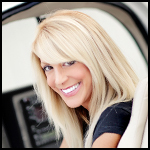 A vivacious American fly girl, MayCay Beeler is a record breaking pilot, award-winning television personality, veteran TV Host/Journalist, award winning true crime author, Certified Flight Instructor, mom, world traveler, and dynamic woman with a passion for all things flying. 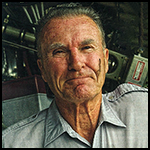 Timothy Nathan started flying training when he was fourteen, initially funding it through washing cars. He went on through the University Air Squadron to a Private Instrument Rated Pilot, and then climbed the professional ladder from night mail flights to flying the former UK Prime Minister, Margaret Thatcher. After losing his job in the 1993 recession, he returned to private flying. What does it take to become a pilot? 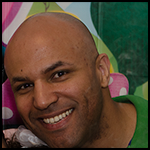 Join us as Darren Fuller gives us insight into his inspiring pilot journey. Living under the flight path of a local training aerodrome in New South Wales, Australia, Darren Fuller was bitten by the flying bug early, managing to solo before the legal driving age. What does it take to become a pilot? Join us as Chris Puddy gives us insight into his inspiring pilot journey. 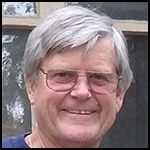 After originally first going solo in Australia back in 1965, Chris finished his flying training back in England. 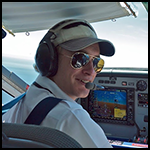 Flying mainly Twin Otters and King Airs, Chris’ Professional Career has been extensive, flying for various companies working in the Far East, all over the UK and also in Africa. What does it take to become a pilot? 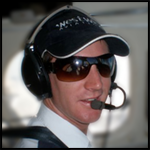 Join us as Matt Dearden gives us insight into his inspiring pilot journey. After originally catching the flying bug as a teenage cadet, Matt Dearden, switched working a normal 9-5 IT job in England to flying around the jungles of Indonesia in the ultimate bush plane. This is the very first episode of the Inspired Pilot Podcast where Marvyn Robinson introduces the show, the motivation behind it’s existence and the future plans.